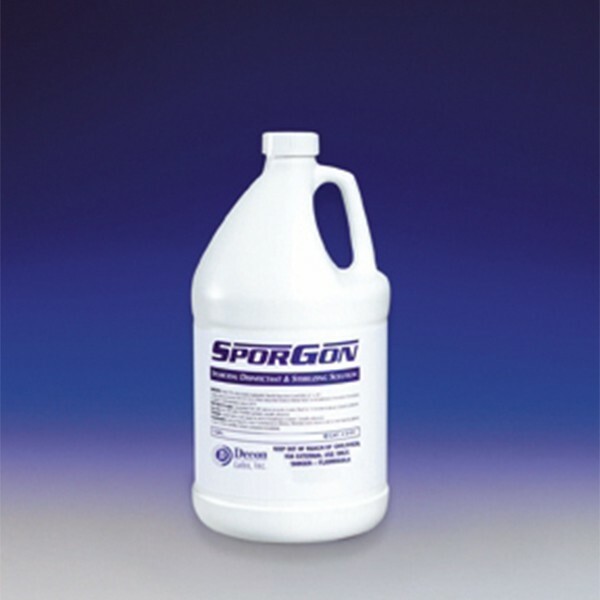 Peracetic acid-based sterilizing and disinfecting solution provides high-level disinfection and is completely effective against spores. Ready-to-use solution is tuberculocidal, bactericidal, virucidal and fungicidal. Completely biodegradable, it decomposes into oxygen, water and acetic acid.